Please read the following instructions carefully to understand the requirements for becoming an ordained Sikh Dharma Interational Minister. The information provided during the Candidate’s application process will be kept as part of the Candidate’s permanent record with the Office of the Secretary of Religion. Upon completion of the application and successful completion of the Minister approval process, the Candidate will be granted permission to take Minister Vows. NOTE: The New Minister Candidate procedure must be completed at least one month prior to a Candidate taking vows. Please note that this procedure may be updated from time to time. Prior to applying to become a Minister Candidate you must have taken Sikh Vows and/or Amrit and have been living as a Sikh for three years following Sikh Vows and/or Amrit. The exception to these criteria is someone who has been living as a Sikh for at least the previous five years but has not yet taken Sikh Vows and/or Amrit. In this case, the Candidate must wait one year after taking Sikh Vows and/or Amrit before applying. A suggested course at this time for potential Minister candidates is Journey into the Heart of Sikh Dharma. A formal letter of request stating your intention to be a Minister Candidate and a statement that you meet the prerequisites to be a Minister Candidate, as stated above (please include the dates of Sikh Vows and/or Amrit and when you first began living as a Sikh). Please sign and date this letter. Provide your spiritual name, legal name and birth name, name you are currently using, place of birth, date of birth, address, phone and email. Provide a resume or professional vitae if possible. A current passport-style photo (men in full white turban, women in white turban and chuni). A signed and dated copy of our Affadavit for Minister Candidate. A background check may be conducted on the Candidate. The Candidate will sign an Affidavit attesting to their fitness to be a Sikh Dharma Minister. Any statements shown to be false could lead to a Candidate’s Ministership being denied or revoked. The Affadavit may be submitted via email, but must be signed by the applicant. The Candidate is required to request recommendations from five qualified, current Sikh Dharma Ministers. “Current” means the recommender is up-to-date in all annual Minister requirements. These recommenders will constitute a “Panj” for the candidate. The recommenders must complete and submit the recommendations directly to the Secretary of Religion using the Minister Candidate Recommendation Form (instructions included on form – see below). Minister Candidates may provide the form (see below) to the qualified recommenders. However, the completed and signed form must be sent directly by each recommender to the Secretary of Religion. Recommendations may be sent via email, but must be signed and dated by the recommenders. 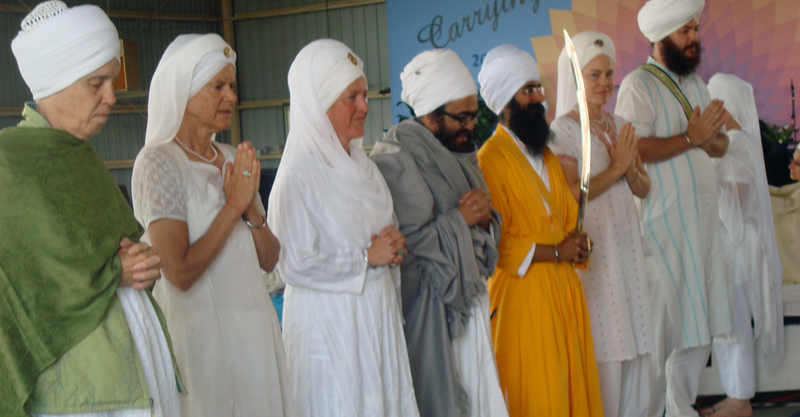 For a list of Ministers, please click here for our Sikh Dharma International Minister Directory. Ministers who are shown as Not Current may send a recommendation and contact our office to update their Minister status (complete their annual Minister requirements). Ministers must be Current in their annual credentials for their recommendation to apply to the candidate process. If the Candidate lives in or near a Minister Center (a geographic area where five or more Sikh Dharma Ministers live in fairly close proximity to each other), the five recommendations must be from Ministers from that Center. Minister Centers: Espanola, NM; Eugene, OR; Herndon, VA; Los Angeles, CA; Millis, MA; New York City/Brooklyn/Long Island; Phoenix, AZ; and San Francisco, CA. If the Candidate has lived in that Center for less than two years, then two of the recommendations may come from Sikh Dharma Ministers from the candidate’s previous Minister Center. 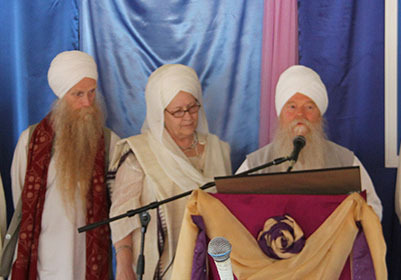 If the Candidate did not previously live in a Center, then the five recommendations can be from any current Sikh Dharma Ministers. If the Candidate does not live in a Minister Center, then all five recommendations can be from any current Sikh Dharma Ministers (including Ministers from a previous Minister Center). If a member of the Central Section of the International Khalsa Council lives in the Candidate’s geographic area, one of the recommendations must be from a current, active member of the Central Section. It is also highly encouraged that one of the recommendations be from the Candidate’s Sikh Dharma Granthi, who is also a Sikh Dharma International Minister. MSS Tarn Taran Singh Khalsa. Upon receiving five qualified Recommendation Forms for the Candidate, the Secretary of Religion will contact the Candidate. The Secretary of Religion may also contact the recommenders for additional information. The Secretary of Religion will set up an appointment to meet with the Minister Candidate in order to conduct a telephone, online, or in-person interview. Following the interview—provided there are no serious concerns about this Candidate becoming a Minister or an identified need for additional self-development—the Secretary of Religion will assign the Candidate an essay question to be completed by the Candidate in writing. This essay needs to be dated, signed, and submitted to the Secretary of Religion. Essays may be sent via email, but must be signed and dated. Upon receipt and review of the submitted essay, the Secretary of Religion will be responsible for final approval of the applicant as a Minister of Sikh Dharma. Upon approval, the Secretary of Religion will inform the Candidate in writing that he/she has been approved. 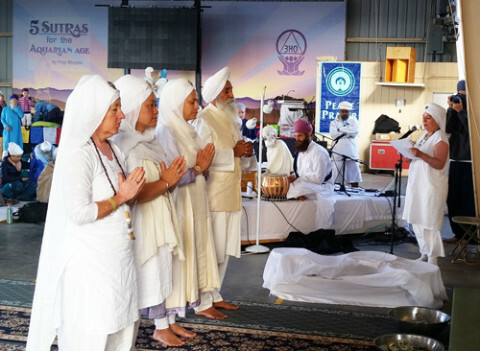 Arrangements will then be made for the Minister Candidate to take Sikh Dharma Minister Vows at Summer Solstice, Winter Solstice, or the European Yoga Festival. If there are special circumstances as to when and where the candidate may take vows, those details will be worked out with the Secretary of Religion. In order to complete the Candidate process and officially become a Sikh Dharma Minister, upon taking vows, the Candidate must contact the Executive Assistant to the Secretary of Religion at info@sdministry.org or in writing to P.O. Box 1382, Espanola, NM, that he or she has done so. The Candidate will then receive a New Minister Application packet. The packet will contain instructions for submitting a Minister data sheet, ID photos, signature card, signed Minister Vows and a one-time Minister Application fee of $108.00 US. Upon remitting all of the above, the New Minister will receive his/her Minister’s Identification Card, ordination letter and a certificate as a Sikh Dharma Minister.